When the holidays come to an end, it’s hard to turn down the incredible discounts on supplies that you can use next year. One of the many things people stock up on is wrapping paper. But how do you keep that paper in good shape until next December? The storage experts at Affordable Family Storage in Wichita have some tips. If you are going through the effort to save your extra rolls of wrapping paper, the last thing you want to happen is the paper being damaged because it somehow became unrolled while in storage. Luckily, there are a few things you can do to make sure this doesn’t happen to you. One of the simplest methods is to use a few small pieces of tape to hold down the end of the paper, but this often damages the paper and causes waste. You can also wrap the tube with pantyhose or use an old wrapping paper tube as a cover. The paper is now secure and unable to unravel in storage. Now it’s time to figure out a container to put everything in. Many craft stores and stores with a large holiday decor selection sell storage containers specifically for wrapping paper, but you don’t necessarily have to use something like that. A tall cardboard box can easily do the trick - or, if you’d like a less-bulky option, you can use a clear garment bag to keep everything neat and organized and easy to store in a closet. Paper can be a fickle thing. If it is kept in the wrong environment for too long, it will be completely ruined. 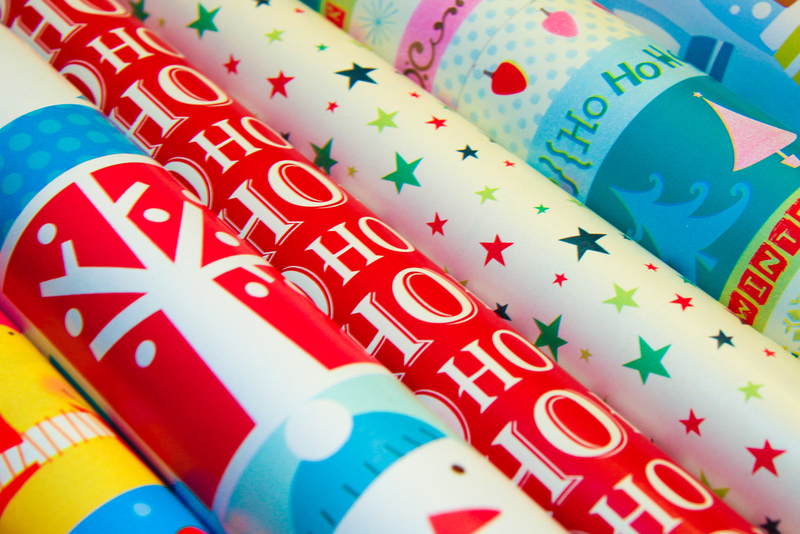 When storing your Christmas wrapping paper, you need to keep it in a place without a lot of humidity or direct light. Keep it in an interior closet - or, if you choose to store it at a separate location, choose a climate-controlled storage unit like the ones at Affordable Family Storage in Wichita. Learn more about our storage units here.